Last November, Lilly & Pujo had a litter of Cavachon puppies. “Sadie” was one of those puppies. We have had her here, all this time, waiting for her to get a forever home. I am happy to announce that she will be going home to Oregon on Sept. 11th! 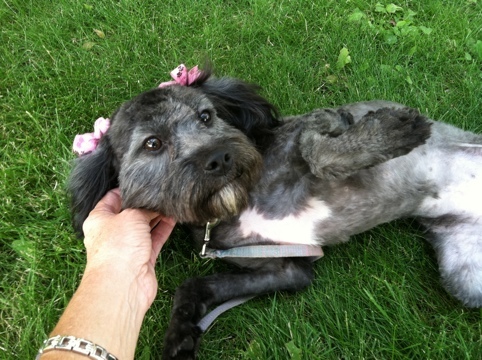 In preparation for her new home, Sadie needed a haircut! The Cavachon coat is one that DOES need grooming, and Sadie had not been groomed at all, except for a bath here and there. 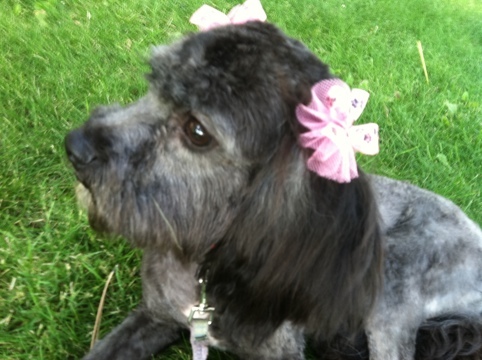 As a result, her coat was thick, wooly, and had some mats, so it was time for Sadie to see the groomers. 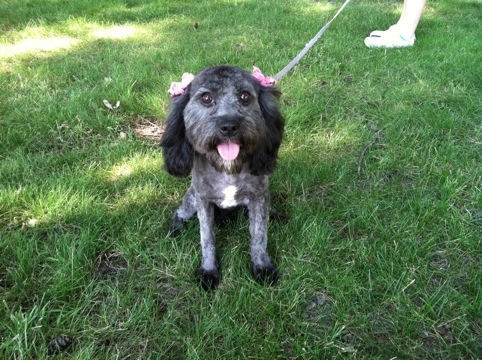 Here are a few “before” pictures of Sadie! 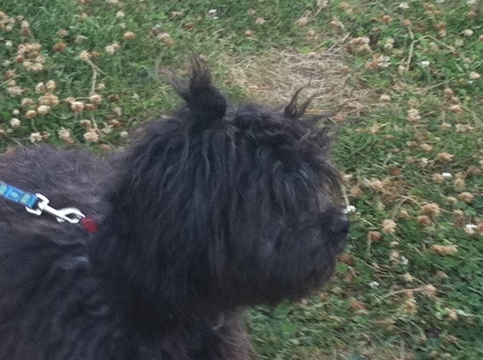 On this day, she had a “top-knot”, but not the cute kind with a bow on her head! This was just a spontaneous “clump”! 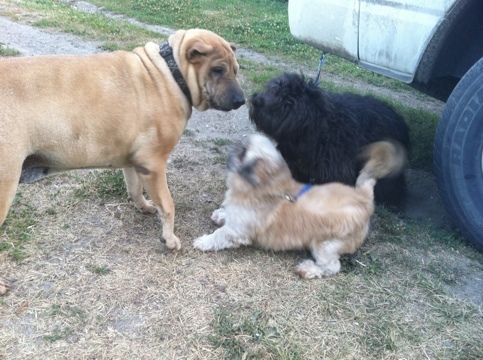 This is Sadie & Pookie Bear (the little guy) with Princess. They had so much fun playing together! Sadie, looking like a dog in a winter coat! 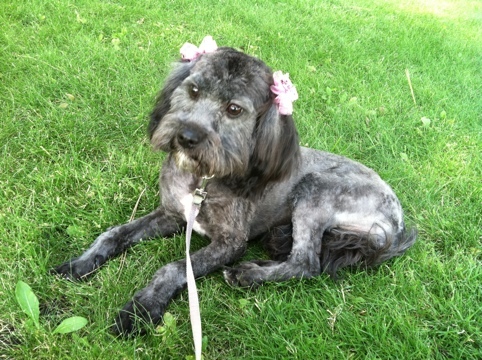 And this is Sadie after her haircut! 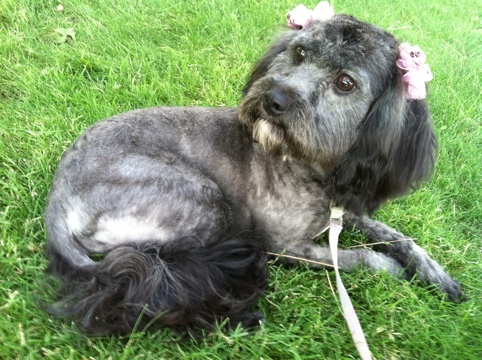 She looked so different, that when I walked into the groomers to pick her up, I saw Pookie and 2 small black dogs, and didn’t even recognize her! 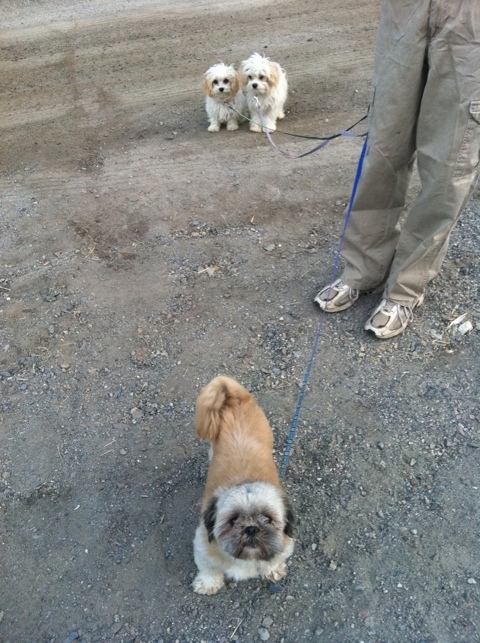 One of those “small” dogs was Sadie!! I just knew she would be grey underneath! 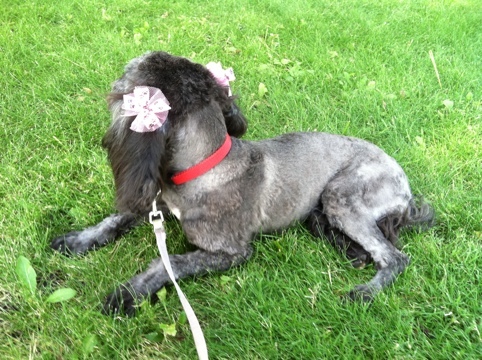 She’s so cute in her bows! She still has the white patch on her chest, and a bit on her chin! Her coat is so velvety. It was like a carpet when vacuumed one direction, it’s one color, and then when going the other direction, the color changes. 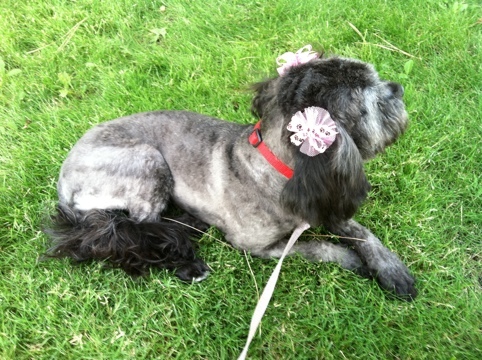 Sadie looks so elegant here with her paws crossed! I’m sure that as her hair grows out again, it will get darker. Somehow coats do that. You’ll see with Pookie Bear’s coat below, how when it’s really short, it looks really light, but as it grows in, it gets darker again. Another view of the variations in color! She is a happy girl and ready to meet her new parents! 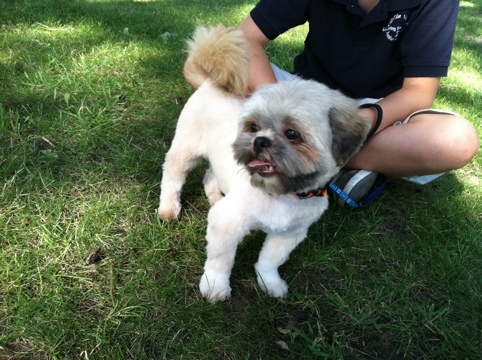 Now, here is a picture of Pookie Bear, “before”. 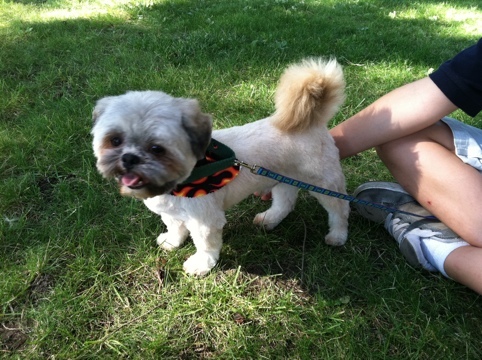 We had groomed him ourselves not too long ago, so he looked pretty good already when he went to the groomers. Notice how his coat is a nice honey brown color here. 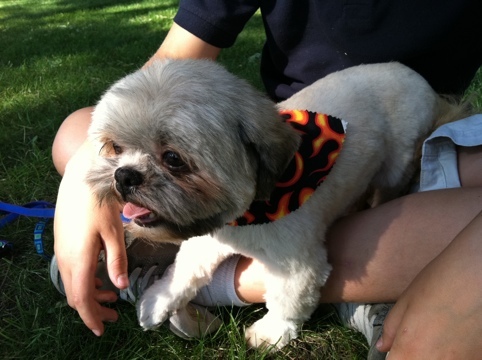 He is such a cute boy, and small, and looking for a forever home! 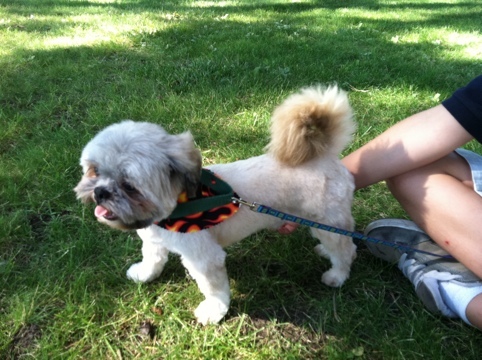 Here he is after going to the groomers! He looks almost cream-colored. But I know from experience, that as his coat grows, that honey color will come back. 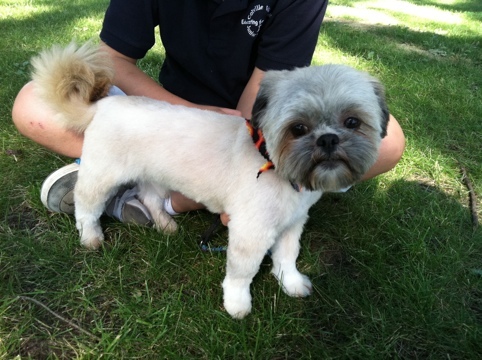 Pookie has been groomed several times professionally, and the color always comes back on his coat! He’s so cute in his bandana! He is a sweet boy, crate trained, rides in the car without getting sick, and loves going for walks! His face actually has a bit of grey/black on it. You can really see it in the “before” photo of him! He loved being at the park getting his picture taken! 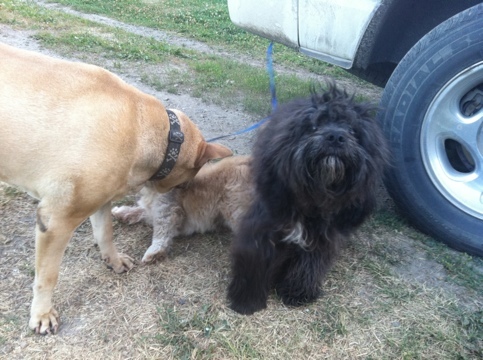 This entry was posted in Black, Cavachon, Grooming, ShihTzu. Bookmark the permalink.